A fast and flexible tool for creating, editing and publishing documents. Common pre-press functions can be performed within a single user interface supporting various impositions of documents. 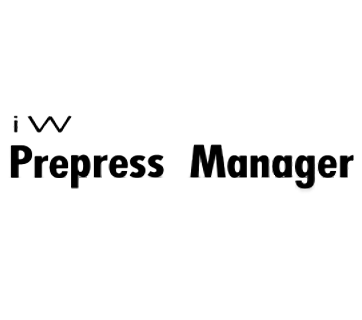 Streamline your pre-press operations by automating it using iW PrePress Manager. Flawless presentations can be created easily with the drag-and-drop tool. Plus, powerful integrated editors for annotation, content and imaging work seamlessly with fast document previews to give you the best results ever. Both in-line and off-line finishing are supported with this software. Work can now be prepared using a variety of document imposition options and custom media size selections with the flexibility to add Printer’s Marks. It even supports off-line cutting and binding functions. By automatically calculating printing and finishing settings for perfect bound and saddle-stitched documents, iW PrePress Manager makes light work of perfect presentations. More advanced users are also given the option to manually configure settings to suit their needs.